This is a definitive list, compiled by Prof. Hugh S. Torrens, of his published works.. Links with a coloured backgroundare to sites that may require payment. 1. Two geological exposures at Sherborne. Proceedings of the Dorset Natural History & Archaeological Society, 85, pp. 38-39, 1964. 2. Revised zonal scheme for the Bathonian Stage of Europe. Reports of the 7th Carpato-Balkan Geological Association, (2), 1, pp. 47-55, 1965. 3. Fuller's Earth Rock section at Troll quarry, Thornford. Proceedings of the Dorset Natural History & Archaeological Society, 86, p. 38, 1965. 4. The Great Oolite Limestone of the Midlands. Transactions of the Leicester Literary and Philosophical Society, 61, pp. 65-90, 1967. 5. The Great Oolite Series. Chapter 13, pp. 227-263 and (with J.H. Callomon), The Ampthill Clay, Corallian Beds and Kimmeridge Clay. Chapter 15 pp. 291-299 in The Geology of the East Midlands, edited by P.C. Sylvester-Bradley and T.D. Ford, Leicester University Press, 1968. 6. (with F.C. Stinton), Fish Otoliths from the Bathonian of Southern England. Palaeontology, 11, pp. 246-258, 1968. 7. Contributions on ‘Forest Marble’ and ‘Lenthay Bed’ to "Geology Notes". Proceedings of the Dorset Natural History and Archaeological Society, 89, p. 42, 1968. 8. Some Fuller's Earth Sections in the South Cotswolds. Proceedings of the Bristol Naturalists Society, 31, 429-439, 1968. 9-13. Editor of the Guide Books for the International Field Symposium on the British Jurassic (April 1969). Published by the Geology Department, Keele University, 1969. 9. (co-author with J.H. Callomon), Guides to Field Excursions from London. pp. 38. 10. (Co-author with J.C.W. Cope and A. Hallam), Guide to the Jurassic Geology of Dorset and South Somerset. pp. 71. 11. (Contributions to) Guide to the Jurassic Geology of North Somerset and Gloucestershire. pp. 47. 12. Guide to the Jurassic Geology of Western Scotland. pp. 47. 13. Guide to the Jurassic Geology of Yorkshire. pp. 47. 14. The stratigraphical distribution of Bathonian ammonites in Central England. Geological Magazine, 106, 63-76, 1969. 15. Report of Field Meeting in the Sherborne-Yeovil District. Proceedings of the Geologists Association, 80, 301-330, 1969. 16. (with J. Senior and C. Parsons), New Sections in the Inferior Oolite of South Dorset. Proceedings of the Dorset Natural History and Archaeological Society, 91, 114-119, 1970. 17. (with H.C. Jenkyns), Palaeogeographic Evolution of Jurassic Seamounts in Western Sicily. Annales Instituti Geologici Publici Hungarici, 54, 91-104, 1971. 18. New Names for Two Microconch Ammonite Genera from the Middle Bathonian (Jurassic) of Europe and their Macroconch counterparts. Bollettino della Societa Paleontologica Italiana, 9, 136-148, pl. 36, 1971. 19. (with M.J. Barker), A New Ammonite from the southernmost outcrop of the Lower Lincolnshire Limestone (Middle Jurassic). Transactions of the Leicester Literary and Philosophical Society, 65, 49-56, pl. 1, 1971. 20. Note on the little known Ammonite Genus Subcollina (Spath). Memorie degli Istituti di Geologia e Mineralogia dell' Universita di Padova, 28, 164-5, 1971. 21. A Bathonian Crocodile new to Dorset. Proceedings of the Dorset Natural History and Archaeological Society, 92, 43-44, 1971. 22. Preface to second reprinted edition of S.S.Buckman's Type Ammonites, editor H.S. Torrens, Volumes 1-3. Lehre: J. Cramer and Codicote: Wheldon and Wesley. 1972. 23. Bibliography pp. 306-9 in L. Richardson A Handbook to the Geology of Cheltenham and Neighbourhood. Second edition, revised by R.D. Beckinsale, Paul Minet; Chicheley, Bucks 1972. 24. Bathonian Stage in N. Morton (editor), The Definition of Standard Jurassic Stages. Memoires du Bureau des Recherches Geologiques-Minieres (Paris), 75, 83-93, 1974 (see also - a) International Geological Correlation Programme, United Kingdom Contribution (London: Royal Society), 1968 and b) Proceedings of the Geological Society of London, no. 1656, pp. 161-162, 1969) . 25. Standard Zones of the Bathonian. Memoires du Bureau des Recherches Geologiques-Minieres (Paris), 75, 581-604, 1974. 26. William Sharpe and the search for Coal near Sherborne (Dorset). Shirburnian, June, 22-25, 1974, (Reprinted in A Corner of England, pp. 6-9, Sherborne, Shirburnian publications, 1974). 27. Early maps of the Somersetshire Coal Canal. Cartographic Journal, 11, 45-47, 1974. 28. The Revd. William Sharpe. University College Record, 6, 376-384, 1974. 29. Geological collections and collectors of note. Lichfield Museums (pre 1850). Newsletter of the Geological Curators Group, 1, 5-10, 1974. 30. Locating and identifying collections of palaeontological material, Newsletter of the Geological Curators Group, 1, 12-16, 1974. 31. Palaeontological type specimens, Newsletter of the Geological Curators Group, 1, 32-35, 1974. 32. Geological collections and collectors of note. Lichfield Museums (pre 1850) postscript. Newsletter of the Geological Curators Group, 1, 38-39, 1974. 33. Collections at Northampton. Newsletter of the Geological Curators Group, 1, 46-51, 1974. 34. Notes on some Yorkshire Museum collectors. Newsletter of the Geological Curators Group, 1, 56-58 & 153-154, 1974. 35. Innumerable entries to the Lost and Found Column of the Newsletter of the Geological Curators Group from Volume 1 (1974) onwards. Available from the Geological Curators Group www site. Some of these entries are in the Dorset count Museum. 36. William Sharpe (1724-1783) and Coal in Dorset. Somerset & Dorset Notes & Queries, 30, 33-34, 1974. 37. The Curious Case of the FC Front-Drive Alvis. Motor Sport, 50, 1314-1320, 1974. 38. (editor) John Cooper’s article Alvivacity written circa 1945, Alvis Register Bulletin, 112, pp 9-13, 1974. 39. The Somersetshire Coal Canal Caisson Lock, Bristol Industrial Archaeology Society Journal, 8, 4-10, 1975. 40. Further Comments on the Maps of the Somersetshire Coal Canal. Cartographic Journal, 12, 49, 1975. 41. (with Copp, C.J.T. & Pickford, R.F.) Geological collections and collectors of note. 4. The Bath geological collections. Newsletter of the Geological Curators Group, 1, 88-124, 1975. 42. Coal Exploration in Dorset. Dorset County Magazine, 44, 31-39, 1975. 43. A wild goose chase (The Alice Lady Fowler collection). Newsletter of the Geological Curators Group, 1, 238-239, 1975. 44. FWD Alvis Research, Motor Sport, December 1975, p. 1387. 45. Ian Macdonald - Pioneer Motorist, Alvis Register Bulletin, 117, pp. 2-10, 1975. 46. The early years of Stothert and Pitt, Bath engineers. Bristol Industrial Archaeology Society Journal, 9, 24-31, 1976. 47. Two horror stories of the eighteenth century (The British Museum and the John Walcott collection). Newsletter of the Geological Curators Group, 1, 290-293, 1976. 48. (with Hancock, E.G. & Howell, A.C.) Geological collections and collectors of note, Bolton Museum. Newsletter of the Geological Curators Group, 1, 323-335, 1976. 49. The Radstock arm of the Somerset Coal Canal. Bristol Industrial Archaeology Society Journal, 9, 37, 1976. 50. Curiouser and Curiouser - Strange FWD Alvisera, Alvis Register Bulletin, 121, pp. 2-9 and plate, 1976. 51. FWD Matters, Alvis Register Bulletin, 123, pp. 3-6 and plate, 1976. 52. The Great FWD Single-Seater Mystery, Alvis Owner Club Bulletin, 275, pp. 267-171, 1976. [Despite its claimed authorship, the article ‘Dual p.r.b.s.g.’ in New Electronics, 9, no. 1, p. 30, 1976, is not by me. I agreed to act as pseudonym for a friend, Peter Gebler, the then technical editor of New Electronics, who was seeking a new job and needed anonymity!]. 53. Building Stone. pp. 158-159 in A.Hallam (editor) Planet Earth - an Encyclopaedia of Geology, Elsevier Phaidon U.K., Oxford 1977, reprinted in second edition as Encyclopaedia of the Planet Earth, Peerage Books, London 1983. 54. Contributions on the Bath Philosophical Society - 1779-1787. pp. 13-14 & 81-95 in A.J. Turner (editor) Science and Music in 18th century Bath: an exhibition in the Holburne of Menstrie Museum, University of Bath Press, Bath. 1977. 55. The retrieval and recognition of old geological collections. Museums Journal, 77, 132, 1977 (A). 56. A National Plan for Museums. Newsletter of the Geological Curators Group, 1, 478-481, 1977. 57. Bath Geological Collections, Collections and collectors of note (supplementary notes), Newsletter of the Geological Curators Group, 1, 482-485, 1977. 58. (Book Review), Catalogue of the Type and Figured Specimens of Mesozoic Ammoniodea in the British Museum (Natural History) by D. Phillips, Newsletter of the Geological Curators’ Group 1, no. 10, p. 513, 1977. 59. (with Peter Lead). The introduction of the Trevithick steam engine to North Staffordshire. Journal of the Staffordshire Industrial Archaeology Society, 7, 13-18, 1977. 60. Works Specification Records, Alvis Register Bulletin, 124, 2 p. and 125, 1 p., 1979. 61. The Evolution of a Family Firm: Stothert and Pitt of Bath. Stothert and Pitt, Bath, England, 86pp, 1978. 62. (with C.H. Holland et al. ), A Guide to Stratigraphical Procedure, Geological Society of London, Special Report 11, England, 18pp, 1978. 63. The Sherborne School Museum and the early collections and publications of the Dorset Natural History and Antiquarian Field Club. Proceedings of the Dorset Natural History and Archaeological Society, 98, 32-42, 1978. 64. (with Getty, T.A. & Crane, M.D.) Collections and collectors of note - John William Elwes. Newsletter of the Geological Curators Group, 2, 117-120, 1978. 65. The first Alvis Car, Alvis Register Bulletin, 128, p. 1, 1978. 66. Geological communication in the Bath area in the last half of the eighteenth century, Chapter 10, pp. 215-247 in Images of the Earth, Essays in the history of the environmental sciences, (editors L.J. Jordanova and R.S. Porter), British Society for the History of Science Monograph No. 1. Chalfont St. Giles 1979, reprinted 1981. 67. The source of the lost Richard Owen lithograph. Newsletter of the Geological Curators Group, 2, 253-261, 1979. 68. When did the Bath Geological collections start to deteriorate? Newsletter of the Geological Curators Group, 2, 262, 1979. 69. Detection at the Sedgwick: an illustration of the importance of data retention. Newsletter of the Geological Curators Group, 2, 333-340, 1979. 70. Collections and collectors of note - Colonel Birch (c. 1768-1829). Newsletter of the Geological Curators Group, 2, 405-412, 1979. 71. (with M.G. Bassett et al.) Concluding Discussion and Summary in Curation of Palaeontological Collections ed. M.G. Bassett, Special Papers in Palaeontology, 22, 269-275, 1979. 72. 1829 list of geological collections. Newsletter of the Geological Curators Group, 2, 421-422, 1979. 73. Obituary, Bill Urquhart-Dykes, Alvis Owner Club Bulletin, 303, pp. 115-119, 1979. 74. The Obscurest Alvis Racer, Alvis Register Bulletin, 132, 2 pp., and 133, pp. 4-5, 1979. 75. Talking of Sports Cars, Alvis Register Bulletin, 134, pp. 6-7, 1979. 76. 'Preliminary Remarks', 'Jurassic Stratigraphy in Practice', 'Means of Correlation', 'Radiometric Dates' & 'The base of the Jurassic system' (the last with T.A. Getty) pp. 1-22 in A Correlation of Jurassic rocks in the British Isles, Part One: Introduction and Lower Jurassic, editor J.C.W. Cope, Geological Society of London Special Report 14, 73pp. 1980. 77. Definition of the Middle and Upper Jurassic' and 'Bathonian correlation chart', pp. 2-3 & 21-45, in A Correlation of Jurassic Rocks in the British Isles, Part Two: Middle and Upper Jurassic, editor J.C.W. Cope, Geological Society of London Special Report 15, 109pp. 1980. 78. Collections and Collectors of Note 31. The Reverend George Crabbe (1754-1832). Geological Curator, 2, 461, 1980. 79. Collections and collectors of note - Colonel Birch (c. 1768-1829). Geological Curator, 2, 561-562, 1980. 80. (with T. Riley), Collections and Collectors of Note - White Watson (1760-1835). Geological Curator, 2, 572-577, 1980. 81. Winwoods of Bristol, engineers - 1767-1788. Bristol Industrial Archaeology Society Journal, 13, 9-17, 1980. 82. A Remarkable 12/50 Alvis [that of botanist Norman Douglas-Simpson (1890-1974 - see Watsonia, 10, pp. 403-410, 1975), Alvis Register Bulletin, 136, pp. 7-11, 1980. 84. The Reynolds-Anstice Shropshire geological collection - 200 years of history and its lessons, in Wheeler, A. & Price, J.H. (eds.). History in the service of systematics. Papers from the conference to celebrate the Centenary of the British Museum (Natural History), 13-16 April 1981. Society for the Bibliography of Natural History Special Publication, 37-41, 1981. 85. Obituary notice of Victor Eyles (10 October 1895 - 8 March 1978). British Journal for the History of Science, 13, 282-283, 1981. 86. (with P. Lead), The introduction of the Trevithick steam engine to North Staffordshire. Journal of the Trevithick Society, 8, 26-30, 1981. 87. Mary Anning's ancestry. Devon and Cornwall Notes and Queries, 34, 341, 1981. 88. (Book Review), The Ammonoidea ed. M.R. House & J.R. Senior, 1981, Palaeontological Association Circular, 106, pp. 11-12, 1981. 89. Aspects of iron-working in the Bristol-Bath area, a paper delivered to the Historical Metallurgy Society conference, Bath, 1981, pp. 5-6 (A). 90. Letter - the Belvoir Coalfield, The Times, 4 July 1981, p. 13. 91.	mALVISation [the unique 4 cyl. FWD with transverse rear spring], Alvis Register Bulletin, 139, pp. 10-11 and 140, p. 11, 1981. 92. Sammy Davis - An appreciation, Alvis Register Bulletin, 140, pp. 6-7, 981. 93. Obituary, Ruth Urquhart-Dykes, Alvis Register Bulletin, 142, pp. 6-8, 1981. 94. The Geology of Cirencester and district. (pp. 72-78) in Early Roman Occupation at Cirencester, edited by J.S. Wacher and A.D. McWhirr, Cirencester: Cirencester Excavation Committee, 247pp, 1982. 96. (with T.G. Vallance), The Anglo-Australian Traveller Robert Townson and his map of Hungarian "Petrography" (1797) Abstracts 10th INHIGEO Symposium, Budapest, 96-98, 1982 (A). 97. Development of geology in Britain 1815-1840, Open Earth, 16, 10-11, 1982. 98. New light on the Hornblower and Winwood Compound Steam Engine. Journal of the Trevithick Society, 9, 21-41, 1982. 99. (with B. Trinder), The Iron Bridge at Trentham. Industrial Archaeology Review, 6, 45-55, 1982. 100. (with T.L. Harland), A redescription of the Bathonian Red Alga Solenopora Jurassica from Gloucestershire, with remarks on its preservation. Palaeontology, 25, 905-12, pl. 100, 1982. 101. (Book Review), Ammonites by G. Thomel (Paris 1980), Cephalopod Newsletter, no. 7, pp. 18-20, 1982. 102. (Book Review), Richard Griffith (1784-1878) by G. L. H. Davies & R, C. Mollon, Archives of Natural History, 10, pp. 534-535, 1982. 103. (editor and compiler) United Kingdom Research on the History of Geological Sciences Directory 1981. London: Royal Society, 32pp, 1983. 104. Arthur Aikin's Mineralogical Survey of Shropshire, 1796-1816, and the contemporary audience for geological publications. British Journal for the History of Science, 16, 111-153, 1983. 105. Collectors, Collections and Museums of Note. The Bargrave Museum, Canterbury. Geological Curator, 3, 506, 1983. 106. (with P. Lead), Richard Trevithick, the Heath Family and the North Staffordshire connection. Journal of the Trevithick Society, 10, 59-69, 1983. 107. Editor of The Alvis Register Bulletin, nos 149 (July 1983) to 160 ( April 1986). 108. (Book Review), ‘Disturbances in the Crust’, review of M.T. Greene, Geology in the Nineteenth Century, 1983, Times Literary Supplement, no. 4195, p. 903, 1983. 109. (Book Review), The Poetry of Geology by R.M. Hazen, Geology Teaching, 8, (no. 1) p. 32, 1983. 110. (Book Review), A Geological Miscellany by G.Y. Craig and E. J. Jones, 1982, Palaeontological Association Circular, no. 113, p. 13, 1983. 111. (Book Reviews), Type, figured and cited Jurassic Cephalopoda in the Collection of the Institute of Geological Sciences by R. D. Clark and Catalogue of the Type and Figured Specimens of Fossil Cephalopoda (excluding Mesozoic Ammonoidea) in the British Museum (Natural History) by D. Phillips, Geological Curator, no. 7, pp. 460-462, 1983. 112. Men of Iron: The History of the McArthur Group Bristol, published privately by the company, Bristol. 76pp. 1984. 113. (with T.G. Vallance), The Anglo-Australian traveller Robert Townson (1762-1827) and his map of Hungarian 'Petrography' (1797). pp. 391-8 in Contributions to the History of Geological Mapping, editor E. Dudich, Budapest, Akademiai Kiado. 1984. 114. A view of the future of geological conservation in Britain. (pp. 76-9) in R.G. Clements (editor) Geological Conservation in Britain, Geological Society of London Miscellaneous Papers 16, 1984. 115. A forgotten book on early Gloucestershire Patent History. Journal of the Gloucestershire Society for Industrial Archaeology, for 1983, 17-23, 1984. 116. Some newly discovered letters from Jonathan Hornblower (1753-1815). Transactions of the Newcomen Society, 54, 189-200, 1984. 117. The history of Coal Prospecting in Britain 1650-1900, in Energie in der Geschichte, papers presented to the 11th ICOHTEC (International History of Technology) Symposium, Dusseldorf, Germany, 88-95, 1984. 118. (with T.A. Getty), Louis Hunton (1814-1838), English pioneer in ammonite biostratigraphy. Earth Sciences History, 3, 58-68, 1984. 119. The Cruse family of Bath, Avon and Warminster, Wiltshire. A family's origin and an incredible co-incidence. Journal of the Bristol and Avon Family History Society, 34, 14-15, 1984. 120. Early Warwickshire Patent History. Warwickshire History, 6, 10-20, 1984. 121. Women in Geology - Etheldred Benett. Open Earth, 21, 12-13, 1984. 122. Invited Editor of Special European Issue of Earth Sciences History volume 3, number 1, 93pp, 1984. 123. (Book Review), The Royal Society of Edinburgh (1783-1983): The First 200 years by N. Campbell & R.M.S, Smellie, Earth Sciences History, 3, pp. 85-86, 1984. 124. (Book Review), Natural History Manuscript Resources in the British Isles by G.D.R. Bridson, V.C. Phillips & A.P. Harvey, Earth Sciences History, 3, pp. 89-90, 1984. 125. Early collecting in the field of geology, Chapter 24 (pp. 204-213, figs. 78-79) of O. Impey and A. MacGregor (editors), The Origins of Museums. The Cabinet of Curiosities in Sixteenth and Seventeenth Century Europe, Oxford: Clarendon Press, 1985. 126. The influence of provincial societies on the development of English Geology in the 18th century, in Abstracts of the 4th meeting of European Geological Societies, Edinburgh, 79-80, 1985 (A). 127. (with D.E. Allen), Rediscovery of the Herbarium of T.B. Flower. Watsonia, 15, 269-70, 1985. 128. A forgotten anniversary: One hundred years of organised natural history in Shrewsbury. Shropshire Magazine, 37, 50-1, 1985. 129. Obituary - Frederick Charles Stinton. Proceedings of the Geologists Association, 96, 216, 1985. 130. ‘Additional Notes' to J.M. Eyles' William 'Strata' Smith, Richard Trevithick and Samuel Homfray: Their Correspondence on Steam Engines 1804-1806. Journal of the Trevithick Society, 12, 33-35, 1985. 131. (Book Review), Thomas Beddoes MD 1760-1808: Chemist, Physician and Democrat, by D.A. Stansfield, Bristol Industrial Archaeology Journal, 18, pp. 37-38, 1985. 132. (Book Review), Le Dogger des Pr�alps m�dians Suisses et Fran�aises, by M. Septfontaine, 1983, Palaeontological Association Circular, 122, p. 20, 1985. 133. (Book Review), A Bibliography of George Poulett Scrope, Geologist, Economist and Local Historian, by P. Sturges, Earth Sciences History, 4, p. 81, 1985. 134. (Book Review), Metropolis and Province; Science in British Culture, 1780-1850, Earth Sciences History, ed, I. Inkster and J,.B. Morrell, 4, pp. 81-83, 1985. 135. (Book Review), Bath Stone: a Visual History (a pack of 54 slides with 5 p. of notes), Geology Teaching, 10, (no 4), p. 142, 1985. 136. (Letter - with P. Allen, M.J. Benton and J.E. Robinson), Geologists thin on the ground, Guardian, 28 January 1986. 137. John Lum Stothert (1829-1891) Crane and mechanical engineering equipment manufacturer, (pp. 367-370) in Dictionary of Business Biography, editor D.J. Jeremy, volume 5. London: Butterworths, 1986. 138. The biology of ammonites, Journal of the Open University Geological Society, 6, 17-21, pls 1-3, 1986, and summary in Proceedings of the Shropshire Geological Society, 5, 7-8, 1986. 139. (with John A. Cooper), Uncurated Curators No. 1: George Fleming Richardson (1796-1848), Man of letters, Lecturer and Geological Curator. Geological Curator, 4, 249-272, 1986. 140. (with Charles J.T. Copp), Ron Pickford - Curator Extraordinary. Geological Curator, 4, 287-288, 1986. 141. The history of Coal Prospecting in Britain - a neglected subject. Geology Today, 57-58, March-April 1986. 142. Bath Philosophical Societies - Queries. Notes and Queries, 231, 195, 1986. 143. A new Middle Bathonian ammonite horizon, Proceedings of the Dorset Natural History and Archaeological Society, 107, 186-189, 1986. 144. A contemporary note on Trevithick's Camborne Road Locomotive. Journal of the Trevithick Society, 13, 77-79, 1986. 145. (Book Review), Review of Annual Bibliography of the history of natural History, volume 1: publications of 1982, Geological Curator, 4, (no. 5), pp. 302-303, 1986. 146,	(editor and contibutor to) H.O. Janetschek, The First Trevithick Engine in the Austro-Hungarian Empire, Journal of the Trevithick Society, 13, pp. 60-68, 1986 (footnotes 1, 5, 14 and 17). 147. Obituary - Mrs J.M. Eyles (1907 - 1986). Annual Report of the Geological Society of London for 1986, 23-24, 1987. 148. Geological Collecting and a Geological Career: Daniel Jones (1836-1918). Geological Curator, 4 (8), 493 - 501, 1987. 149. (with M.A. Taylor), Saleswoman to a new Science: Mary Anning and the Fossil Fish Squaloraja from the Lias of Lyme Regis. Proceedings of the Dorset Natural History and Archaeological Society, 108, 135-148, 1987. 150. Joan Mary Eyles, n�e Biggs (1907 - 1986). British Journal for the History of Science, 20, 349-350, 1987. 151. John Gilbert (1812-1845), the Australian naturalist and explorer: New light on his work in England.Archives of Natural History, 14, 211 - 219, 1987. 152. Ammonites and Stratigraphy of the Bathonian rocks in the Digne - Barr�me area (South-Eastern France, dept. Alpes de Haute Provence). Bolletino della Societa Paleontologica Italiana, 26, 93-108, pls. 1 - 9, 1987. 153. (with C.J. Collins & D. Price) Rescue: A Heritage on the Rocks. Recommendations for the Proper Care of Geological Collections. Brochure (8 pp.) for the Geological Curators' Group, 1987. 154. (Book Review), Review of The meaning of Fossils: episodes in the history of palaeontology by M. J.S. Rudwick, 1985, Palaeontological Association Circular, no. 127, p. 18, 1987. 155. Hawking History - The use and abuse of Geology's past, Preprint delivered to the British Association for the Advancement of Science meeting, Belfast 1987, 6 p, (published as no. 161). 156. A Monumental Inscription from the Countess of Huntingdon's Chapel Bath. Somerset & Dorset Notes & Queries, 32, 675-677, 1988. 157. Edmund Thomas Higgins (fl. 1831 - fl. 1887). Geological Curator, 5, 30-34, 1988. 158. The Stone Pipe Scandal. How Competition bred a 19th century folly. World Water, 11, 23-24, 1988. 159. Under Royal Patronage. The geological work of John Mawe (1766-1829) and the background for his Travels in Brazil. Boletim de Resumos p. 24. Coloquio Brasiliero de Historia e Teoria do Conhecimento Geologico. Campinas, Brazil, 1988 (A). 160. Hawking History - a vital future for Geology's past. Modern Geology, 13, 83-93, 1988. 161.	Who Pays the Piper. New Civil Engineer, no. 798, 26-27, 1988. 162. “What Price the Advancement of Science? James Buckman as a Professional scientist from 1846 to 1863" (unpublished paper 19pp, read to the 150th meeting of the British Association for the Advancement of Science - copy in Royal Agricultural College Library, Cirencester), 1988 (see no. 330, 2009). 163. (Book Review), A History of GKN - Volume 1: Innovation and Enterprise 1759-1918 by Edgar Jones, Industrial Archaeology Review, 11, p. 93, 1988. 164. John Farey (1766-1826), An unrecognised polymath (pages 1-28) and John Farey, Bibliography (pages 29-44) in Farey J. General View of the Agriculture and Minerals of Derbyshire, 1811, Volume 1. Reprinted Peak District Mines Historical Society Ltd. 1989. 165. Uncurated curators no. 2 Vivian Erwood Robson (1890-1942). Geological Curator, 5, 65-71, 1989. 166. Engineering Enterprise in Bath & Bristol. Industrial Archaeology Review, 11, 196-209, 1989. 167. The Transmission of British Ideas to America on Uses of Fossils in Stratigraphic Analysis 1800-1840. Abstracts 28th International Geological Congress. Washington, DC, vol. 3, p. 45, 1989 (A). 168. The scientific ancestry of Siluria. Abstracts volume for the Murchison Symposium; An International Symposium on the Silurian System. University of Keele UK March - April 1989, p. 75 (A). 169. (Book Review) “From Noah on”, review of Catastrophic Episodes in Earth History by Claude C. Albritton, 1989, Nature, 339, p. 518, 1989. 170. (with A.E. Bogan & E.E. Spamer), Recovery of the Etheldred Benett Collection of Fossils Mostly from Jurassic - Cretaceous Strata of Wiltshire England, Analysis of the Taxonomic Nomenclature of Benett (1831), and Notes and Figures of Type Specimens Contained in the Collection. Proceedings of the Academy of Natural Sciences of Philadelphia, 141, 115-180, 13 plates, 1989. 171. (with Innocenti M., Mangold C. & Pavia G.), A proposal for the formal notification of the Basal Boundary Stratotype of the Bathonian Stage based on a Bas Auran section (S.E. France). Second International Symposium on Jurassic Stratigraphy, volume 1, pp. 333-46, (edited R.B. Rocha & A.F. Soares), Lisboa 1989. 172. The Curious Case of the FC Front-Drive Alvis, Alvis Register Bulletin, 171, pp. 26-33, 1989 [updated version of no. 37] is also available online from the Motor Sports Magazine. 173. A Wiltshire Pioneer in Geology and his Legacy - Henry Shorto III (1778-1864), Cutler and Fossil Collector of Salisbury. Wiltshire Archaeological and Natural History Magazine, 83, 170-189, 1990. 174. In Commemoration of the 150th anniversary of the death of William 'Strata' Smith (1769-1839). Travaux du Comit Francais d'Histoire de la Geologie, 3rd series, 3, 57-63, 1990. 175. The scientific Ancestry and Historiography of the Silurian System. Journal of the Geological Society, London, 147, 657-662, 1990. 176. Eminent engineers, Nature, 346, 99, 1990. 177. Joseph Day (1855-1946) and the Two-Stroke Engine. An Historical Perspective. 18th International Congress ICOHTEC Paris Communications volume, p.7, 1990 (A). 178. John Rennie (1761-1821) and his "unplanned" use of Stone Pipes to Supply Water in London and Manchester from 1808 to 1812. ditto, p. 20, 1990 (A). 179. (with M.A. Taylor), Collections, Collectors and Museums of Note No. 55, Geological Collectors and Museums in Cheltenham 1810-1988: A Case History and its Lessons. Geological Curator, 5, 175-213, 1990. 180.	Who unravelled the Geology of the Weald? The prehistory of Mantell's researches from 1790 to 1822. Abstracts for the Gideon Mantell Bicentenary Symposium, University of Sussex, September 1990, pp. 15-16 (A). 181. (with J.A. Cooper), Parasite or Symbiont? The sad career of Mantell's curator G.F. Richardson (1796-1848). ditto, p. 9 (A). 182. (Book review), Dynasty of Iron Founders: the Darbys and Coalbrookdale by A. Raistrick (second edition, 1989), Journal of the Friends Historical Society, 56, pp. 56-57, 1990. 183. Presidential Ramblings, British Society for the History of Science Newsletter, 33, pp. 16-19, 1990. 184. (with John Fuller), The Origins of Stratigraphy: Itinerary and Historical Notes. Guidebook for the American Association of Petroleum Geologists Diamond Jubilee meeting in London, 14pp. Tulsa: Oklahoma, 1991. 185. Joseph Day (1855-1946) and the Development of the Two-Stroke Internal Combustion Engine. Bath: Industrial Heritage Trust Ltd., 24pp. 1991. 186. The Four Bath Philosophical Societies 1779-1959 (pp. 180-188) in Rolls R. and Guy J. & J.R. (editors), A Pox on the Provinces, (Proceedings of the 12th Congress of the British Society for the History of Medicine). Bath: University Press 1991. 187. Under Royal Patronage: the early work of John Mawe (1766-1829) in Geology and the background of his travel in Brazil in 1807-1810. (pp. 103-113) in Lopes M.M. and Figueira S.F. de M. (editors) O Conhecimento Geolgico na Amrica Latina: Questes de Histria e Teoria. Campinas (Brazil) 1991. 188. The importance of Geological Specimens and Collections as sources for the History of Geology. (pp. 314-317) ditto. 189. The Transmission of Ideas on the use of fossils in Stratigraphic Analysis from England to America 1800-1840. Earth Sciences History, 9, 108-117, 1991. 190. J.B. Longmire (1785-1858), a Lakeland Geologist and his work as a Coal Prospector in Russia 1817-1822. Proceedings of the Westmorland Geological Society, 5, 12-14, 1991. 191. (with E. Spamer), Ichthyosaurus trigonus Owen 1840 (currently Macropterygius trigonus, Reptilia, Ichthyopterygia): proposed replacement of neotype by rediscovered holotype. Bulletin of Zoological Nomenclature, 48, 240-242, September 1991 [confirmed, June 1993, see Bulletin of Zoological Nomenclature Opinion 1734, pp. 184-185]. 192. “Reply”, Geoscientist, 1, no. 4, 33-34, 1991. 193. Simultaneous invention in the two-stroke engine and its application to transport systems from 1888-1914. Abstracts, XIX International Congress of the International Committee for the History of Technology, Vienna, 1991. (A). 194. Managing editor of Modern Geology [ISSN 0026-7775] from 1992 to 1994. 195. The Importance of Geological Specimens and Collections as Sources for the History of Geology. Abstracts, XVI Symposium of the International Commission on the History of Geological Sciences, Dresden, 1991. (A) (see Episodes, 15, no. 3, p. 213, 1992). 196. (with Denise Crook), A Surviving English Representation of Wernerian Stratigraphy: The Cornish Geological Society's Geological Pillar of 1816. ditto. (A). 197. G.B. Greenough and W. Buckland's visit to Werner and his collection in 1816. ditto. (A). 198. Audio-Visual cassette and explanatory booklet. (pp. 13-16) on "Hutton, Werner and the Emergence of Geology". Open University, Arts: Second Level Course AS 283 The Rise of Scientific Europe 1500-1800. SUP 219186, 1992. 200. When did the Dinosaur get its name? New Scientist, 134, (no. 1815), 40-44, 1992. 201. (with M.A. Taylor), The local geologist 8: The local geological historian. Geology Today, 8, 102-107, 1992. 202. A study of 'failure' with a ‘successful innovation'. Joseph Day and the two-stroke internal-combustion engine. Social Studies of Science, 22, 245-262, 1992. 203. William 'Strata' Smith - the truth [about his wife]. Geoscientist, vol. 2, no 2, pp. 29-30, 1992. 204. Photograph of a Tsarkoe Seloe Bridge near Leningrad (p. 405) in B. Trinder (ed,) The Blackwell Encyclopaedia of Industrial Archaeology, Oxford, Blackwell, 1992. 205. The Hunt for Oil in Post First World War England - 1918-1924. Meeting on the History of Geology, Troy, New York, July/August 1992, Abstracts volume, pp. 27-8 (A). 206. The Geological Survey of Great Britain, The Education of Miners and the Problem of the 'Practical Man' 1839-1855. British North American triangular History of Science Conference, Toronto, Canada, July 1992, Abstracts volume, p. 63 (A). 207. Valedictory Ramblings, British Society for the History of Science Newsletter, 38, pp. 19-22, 1992. 208. "300 years of Oil: mirrored by developments in the West Midlands", pp. 4-8, in The British Association Lectures, London: The Geological Society, 1993 (ISBN 1-897799-02-0). 209. Mineral Exploitation and “Revolution” in the Shropshire Region 1650-1850, Paper given to the British Association for the Advancement of Science, Keele 1993 (unpublished - copy in Shropshire Archives). 210. "Joseph Day (1855-1946) and his development of the two-stroke internal-combustion engine", pp. 115-124 in A. Herla (editor), Science - Technology Relationships. Presentations made at the 18th International Congress of ICOHTEC, Paris 1990, San Francisco Press Inc., 1993 (ISBN 0-911302-70-0). 211. The Dinosaurs and Dinomania over 150 years. Modern Geology, 18, 257-286, 1993 (ISSN 0026-7775). 212. The Early Life and Geological Work of John Mawe 1766-1829 and a note on his Travels in Brazil, Bulletin of the Peak District Mines Historical Society, 11, 267-271, 1993. 213. The Invention of Dinosaurs. The Linnean, 9 (3), 13-4, 1993. 214. Quando o Dinossauro foi Batizado? (Notas sobre a Histria dos Dinossauros), Cadernos IG/UNICAMP, Brazil, 3, 119-125, 1993. 215. (with B.M. Besly), The Geology of Ambridge or Larkin' about on Lakey Hill. The Yew Tree (Keele Parish Magazine), October/November 1993, pp. 1 and 8, 1993. [The only publication of the Ambridge Geological map, prepared for the 1993 BAAS meeting at Keele]. 216. (Book Review), "First Class Third man? ", Notes and Records of the Royal Society of London, 48, 161-163, 1994 (ISSN 0035-9149). 217. "Patronage and Problems: Banks and the Earth Sciences", in R.E.R. Banks et al (editors), Sir Joseph Banks: A Global Perspective (the Commemorative Volume for the 250th Anniversary of his birth). London: Royal Botanic Gardens, Kew pp. 49-75, 1994. (ISBN 0 947643 61 3). 218. "E.T. Higgins (c.1816-1891): Geological Collector and Natural History Dealer, Bengal to England and then Australia (twice)", in Branagan D.F. & McNally G. (editors), Useful and Curious Geological Enquiries Beyond the World, 19th International INHIGEO Symposium, Sydney, Australia 4-8 July 1994. Springwood: Conference Publications pp. 200-208, 1994. (ISBN 0 646 19244 2). 219. "Problems of the 'Practical Man' in 19th Century English Geology". Paper read to the Australasian Association of History, Philosophy and Social Studies of Science Annual Conference, Griffith University, Brisbane, July 1994. Abstracts volume , p. 35, (A). 220. "The forgotten Feuerheerd pump (1919): 'invisible' problems for inventor and historian". Paper read to the 22nd International Symposium of the International Committee for the History of Technology (ICOHTEC) meeting, Bath University, July 1994. Abstracts volume, p. 62, (A). This is the abstract before publication. See entry 234 for the published article and more notes. 221. "Jonathan Hornblower (1753-1815) and the steam engine: A historiographic analysis" in Smith D. (editor), Perceptions of great engineers: Fact and Fantasy, London: Science Museum pp. 23-34 & pls 1-3, 1994. 223. "'No Impact': Ren Gallant (1906-1985)'s Book Bombarded Earth 1964". Paper read to the 1994 Annual Meeting of the Geological Society of America, Seattle, Washington, October 1994. Abstracts volume, p. 98, (A). 224. "The Thrills of Science", New Scientist, 142, p. 52, 30 April 1994 (ISSN 0035-9149). 225. (with Jean Jones and Eric Robinson), "The Correspondence between James Hutton (1726-1797) and James Watt (1736-1819) with Two Letters from Hutton to George Clerk-Maxwell (1715-1784): Part II". Annals of Science, 52, 357-382, 1995. 226. (Book Review), "A neglected 'Mecca' for Historians of Science. Review of Marco Beretta, A History of Non-Printed Science: a selected catalogue of the Waller Collection, Uppsala, 1993", Notes and Records of the Royal Society of London, 49, 333-4, 1995. (ISSN 0035-9149). 227. "J.H. Fryer (1777-1855): An English Mining Engineer and Geologist in South America 1826-1828" in Lopes M.M. and Figueiroa S.F. (editors), Geological Sciences in Latin America: Scientific Relations and Exchanges, Campinas (Brazil), 1995, (A). 228. "Presidential Address, Mary Anning (1799-1847) of Lyme; "the greatest fossilist the world ever knew'". British Journal for the History of Science, 28, 257-284, 1995 (ISSN 0007-0874). An abstract is available from The British Journal for the History of�Science site. This address inspired a web biography page on Mary Anning at UCMP - University of California Museum of Paleontology. 229. "Charles Daubeny (1795-1867) F.R.S. and his work on Volcanoes". Paper presented to Volcanoes and History the 20th INHIGEO Symposium, in Naples. September 1995. Abstracts volume p. 68, (A). 230. (with M.A. Taylor), "Fossils by the Sea and the Sea Monster of Dorset" Natural History, 104, no 10, 66-71, October 1995. 231. "Joseph Harrison Fryer (1777-1855): geologist and mining engineer in England 1803-1825 and South America 1826-1828" in Lopes M.M. and Figueiroa S.F. (editors), Geological Sciences in Latin America: Scientific Relations and Exchanges, pp. 29-46, Universidade Estadual: Campinas, Brazil, 1995. 232. "The Dinosaurs and Dinomania over 150 years" in W.A.S. Sarjeant (editor), Vertebrate Fossils and the Evolution of Scientific Concepts, pp. 255-284, Gordon and Breach: New York, 1995. 233. "Ernest Feuerheerd and his Rotary Lobe Pump of 1919. Some 'invisible' problems - both for inventor and historian". ICON, 1, 37-69, 1996. The research notes for this article are in the National Archives. 234. "An Inspiring Interface: Geology and its connections with Archaeology in Britain: 1780-1850", Transactions and Proceedings of the Torquay Natural History Society, 22, (10), pp. 9-46, 1996. 235. "'Mineral engineer' John Williams of Kerry (1732-1795): his work in Britain and his mineral surveys in the Veneto and North Italy", Montgomeryshire Collections, 84, pp. 67-102, 1996. 236. (with S.G. Pemberton and W.A.S. Sarjeant), "Footsteps before the flood: the first scientific reports of vertebrate footprints", Ichnos, 4, pp. 321-324, 1996. 237. (with D.A.T. Harper), "The James Mitchell Museum: History and Setting", in Harper D.A.T (editor) An Irish Geological Time Capsule. The James Mitchell Museum, University College, Galway. pp. 5-16, Galway, 1996. 238. "Early collecting in the field of geology", Chapter 24 (pp. 204-213, figs. 78-79) in O. Impey and A. MacGregor (editors), The Origins of Museums. The Cabinet of Curiosities in Sixteenth and Seventeenth Century Europe. Second edition, New York: Ursus Press, 1997. 239. “Some Thoughts on the Complex and Forgotten History of Mineral Exploration", Journal of the Open University Geological Society, 17, part 2, 1-12, 1997. 240. (Book Review), "An American in Glasgow (and Elsewhere)", Patsy Gerstner, Henry Darwin Rogers, 1808-1866 - American Geologist, Tuscaloosa, USA 1995'. Notes and Records of the Royal Society of London, 51, 147-148, 1997. 241. "James Ryan (c.1770-1847) and the Problems of Introducing Irish 'New Technology' to British Mines in the Early Nineteenth Century", pp. 67-83, in P.J. Bowler & N. Whyte (editors), Science and Society in Ireland: The Social Context of Science and Technology in Ireland, 1800-1950. Belfast: Institute of Irish Studies, Queen's University of Belfast, 1997. 242. (Book Review), “Field Guide to the British Jurassic, edited by P.D. Taylor”, Geological Society Publishing House, Bath, 1994, 286 pp., Geological Curator, 6, no. 7, 277, 1997. 243. "Pour Prendre Cong�", pp. 69-70, in G. Gohau (editeur), Hommage � Fran�ois Ellenberger, Soci�t� G�ologique de France, Paris, 1997. 244. (Book Review), "New Insights from Vectia", Restless Genius: Robert Hooke and his Earthly Thoughts, by Ellen Tan Drake, Oxford University Press, 1997, xiv + 386 pp., Notes and Records of the Royal Society of London, 51, 338-339, 1997. 245. (Book Review), "The Father of Derbyshire Geology", John Whitehurst of Derby: Clockmaker and Scientist 1713-88, by Maxwell Craven, Mayfield Books, Ashbourne, Derbyshire, 1997, 272 pp., Notes and Records of the Royal Society of London, 51, 341-342, 199, also 1997, in INHIGEO Newsletter, 29, 30-31. 246. "S.S. Buckman (1860-1929), his World-wide Jurassic Biochronology and Work on Chinese Ammonites (1926)", Proceedings of the 30th International Geological Congress, Beijing, China, vol. 26, pp. 205-215, VSP International Sciences Publishers, Holland, 1997. 247. "Geological communication in the Bath area in the last half of the eighteenth century", Chapter 10, pp. 217-246 in Images of the Earth: Essays in the History of the Environmental Sciences, (editors L.J. Jordanova and R.S. Porter), Second edition, British Society for the History of Science Monograph No. 1; Faringdon, Oxon. 1997. 249. "Politics and Paleontology: Richard Owen and the Invention of Dinosaurs", Chapter 14, pp. 175-190 in The Complete Dinosaur, (editors J.O. Farlow and M.K. Brett-Surman), Bloomington: Indiana University Press, 1997. 250. (Book Review), “Engineers and Engineering: Papers of the Rolt Fellows, edited by R. Angus Buchanan”, Bath University Press, 1996, 226 pp, 37 ill., Industrial Archaeology Review, 19, 99-100, 1997. 251. Robert Townson (1762-1827) utazo, polihistor & nyelvesz. Neprajzi Hirek, vol. for 1997, 84-85, 1997. 252. (with John Cooper), Charles Lyell Bicentenary Meeting: Wealden Field Excursion Guide, for 2-3 August 1997, pp. 8 and figures, 1997 (unpublished). 253. (with M.A. Taylor), "Fossils by the Sea and the Sea Monster of Dorset" Annual Editions: Geology, published by Dushkin/McGraw-Hill, Fall 1997 (never seen...). 254. "Le 'Nouvel Art de Prospection Mini�re' de William 'Strata' Smith et le 'Projet de Houillre de Brewham': un essai malencontreux de recherche de charbon dans le sud-ouest de l'Angleterre, entre 1803 et 1810", pp. 101-118, in J. Gaudant (editeur), Dela G�ologie � Son Histoire: Livre Jubilaire pour Fran�ois Ellenberger, Paris: CTHS Presse, 1998. 255. "The British 'mineral engineer' John Williams (1732-1795), his work in Britain from 1749 to 1793 and as a mineral surveyor in the Veneto and North Italy between 1793 and 1795", pp. 151-199, in E. Vaccari (editor), Le Scienze della Terra nelVeneto dell'Ottocento. Venezia: Istituto Veneto di Scienze, Lettere ed Arti, 1998. 256. "Geology in peace time: an English visit to study German mineralogy and geology (and visit Goethe, Werner and Raumer) in 1816", Algorismus: Studien zur Geschichte der Mathematik und der Naturwissenschaften, 23, 147-175, 1998. 257. "Geology and the Natural Sciences: Some Contributions to Archaeology in Britain 1780-1850" in Vanessa Brand (editor), The Study of the Past in the Victorian Age (the Commemorative volume for the 150th anniversaries of the Royal Archaeological Institute and the British Archaeological Association), Oxford: Oxbow Monograph 73, 35-59, 1998 [ISBN 1 900188 28 7]. 258. (Abstract), “Charles Daubeny (1795-1867) and his Work on Volcanoes” in Volcanoes and History (editor N. Morello), Genova: Brigati, 619-20, 1998. 259. Book review), “Good in parts”, review of Roger Osborne’s The Floating Egg:Episodes in the Making of Geology. Nature, 396 (6707), pp 131-2, 12 November 1998, also in INHIGEO Newsletter, 31, 44, 1999. 260. “Coal Hunting at Bexhill 1805-1811: how the New Science of Stratigraphy was ignored”, Sussex Archaeological Collections, 136, 177-191, 1999. 261. 'No Impact': Ren Gallant (1906-1985) and his book Bombarded Earth (An Essay on the Geological and Biological Effects of Huge Meteorite Impacts), Earth Sciences History, 17 (2), 174-189, 1999. 262. (with William R. Brice), James Buckman (1814-1884) English consulting geologist and his visit to the Guyandotte coal-fields in 1854. Southeastern Geology, 38, 191-201, 1999. 263. “Some Reflections on the Sale of Academic Libraries” pp. 3-6 in A Catalogue of Books from the Library of the Royal Geological Society of Cornwall, Maggs Bros, London, catalogue 1270. London, 1999. 264. (with M.A. Farris & M.J.Oates), “New evidence on the origin and Jurassic age of palaeokarst and limestone breccias, Loch Slapin, Isle of Skye”, Scottish Journal of Geology, vol. 34, 25-29, 1999. 265. The Undercliff of John Fowles’s The French Lieutenant’s Woman: A Note on Geology and Geography (with L-A. Bawden & K. Padian) pp. 137-153, in John Fowles and Nature: Fourteen Perspectives on Landscape (ed. J.R. Aubrey), Madison: Fairleigh Dickinson University Press, 1999. 266. "Richard Cowling Taylor (18 Jan 1789- 26 Oct 1851)" American Dictionary of Biography, volume 21, pp. 402-4, Oxford University Press: Cary, North Carolina, 1999. 267. “William Edmond Logan’s Geological Apprenticeship in Britain 1831-1842”, Geoscience Canada, volume 26, no. 3, pp. 97-110, September 1999. 268. “Spelling it out”, Times Higher Education Supplement, 3 December 1999, p. 15. 269. "The History of Oil in the West Midlands", Journal of the Staffordshire Industrial Archaeology Society, no 17, pp. 80-89, 1999 (ISBN 0264 7346). 270. (Book Review), M.J.S. Rudwick “Georges Cuvier, Fossil Bones, and Geological Catastrophes”, Geological Journal, vol. 34 (4), p. 416, 2000. 271. “Robert Townson (1762-1827): Gondolatok egy Rendkivuli Polihisztor Termeszettudos Utazorol” pp. 11-18, in R�zsa, P. (ed.) Robert Townson Magyarorsz�gi Utaz�sai. Kossuth Egyetemi Kiad�, Debrecen, 2000. 220 p.
272. “Robert Townson (1762-1827): Thoughts on a Polymathic Natural Historian and Traveller Extraordinary” pp. 19-26, in R�zsa, P. (ed. ): Robert Townson's Travels in Hungary. Kossuth Egyetemi Kiad�, Debrecen, 2000. 220 p.
274. “Winners and Losers - What can we learn of the Future from the Past?”, ‘Earth Alert’: The Past, Present and Future of our Planet (ed. R.T.J. Moody et al) London: Geologists’ Association, pp. 53-58, 2000. 275. (with W.I. Ausich and G.D Sevastopulo), “Middle nineteenth century crinoid studies of Thomas Austin, sr. and Thomas Austin, jr.: Newly Discovered Unpublished Materials”. Earth Sciences History. Volume 18, pp. 180-197, 2000. 276. “The hill and its earthworks. The hill: geology" pp. 8-10, in J.C. Barrett, P.W.M. Freeman and A. Woodward, Cadbury Castle, Somerset: The later prehistoric and early historic archaeology, London: English Heritage, 2000. 277. (Book Review), ‘Joseph Needham’s Science and Civilisation in China, volume 5, Chemistry and Chemical Technology, part XIII, Mining’, By Peter J. Golas, pp ccvi + 538, illus. Cambridge University Press: Cambridge. 1999. Ambix, vol 47, pp. 196-197. 2000. 278. Entering Geology’s Third Century - What have we learnt?, Journal of the Open University Geological Society, 21, part 2, 1-13, 2000 (ISSN 0143-9472). 279. (with John Fuller), A Wealden geology and English history excursion, A Field Trip Guide, for 30 June 2000, pp. 11 and figures, 2000 (unpublished). 280. History of Geology Award, speech at Reno, GSA Today, February 2001, 41-42 or online at the Geological Society of America www site. 281. Some Thoughts on the History of Technology and its Current Condition in Britain. History of Technology, 22, pp. 223-232, 2001. 282. Early collecting in the field of geology, Chapter 24 (pp. 281-293) of O. Impey and A. MacGregor (editors), The Origins of Museums. The Cabinet of Curiosities in Sixteenth and Seventeenth Century Europe. Third edition, London: House of Stratus 2001. 283. “Horseless carriage”, letter to The Times 8 May 2001, p 17. 284. (with Trevor D. Ford), A Farey Story: the pioneer geologist John Farey (1766-1826), Geology Today 17 (2), pp. 59-68, March-April 2001. 285. Interview with Richard Howarth, INHIGEO Newsletter no 33, pp. 34-37, 2001 (page 37 of the pdf). 286. (Book Review), ‘Debate, definition and much dithering’, N. Cossens (ed.) 2000, Perspectives on Industrial Archaeology, Times Higher Education Supplement, 31 August 2001, p. 27. 287. The William 'Strata' Smith Lecture 2000, “Timeless Order: William 'Strata' Smith and the search for raw materials 1800-1820" in Lewis, C.L.E. & Knell S.J. (editors), The Age of the Earth from 4004 BC to AD 2002. Geological Society of London Special Publications, 190, 61-83, 2001. 288. (Book Review) Morton, John L. 2001, Strata: How William 'Strata' Smith drew the First Map of the Earth in 1801 & Inspired the Science of Geology, (published Tempus, Stroud), in Geoscientist, 11, no. 9, 16, 2001. 289. (Book Review), Wyse Jackson P.N. (editor), Science and Engineering in Ireland in 1798, Archives of Natural History, 29, 120, 2002. 290. The Practice of British Geology 1750-1850, Variorum Collected Studies Series CS736, Ashgate Publishing Ltd, Aldershot, xiv, 356 p. 2002. 2). "The British 'mineral engineer' John Williams (1732-1795), his work in Britain from 1749 to 1793 and as a mineral surveyor in the Veneto and North Italy between 1793 and 1795". pp. 151-199, in E. Vaccari (editor), Le Scienze della Terra nel Veneto dell'Ottocento. Venezia: Istituto Veneto di Scienze, Lettere ed Arti, 1998. 4). "Le 'Nouvel Art de Prospection Miniere' de William 'Strata' Smith et le 'Projet de Houillere de Brewham': un essai malencontreux de recherche de charbon dans le sud-ouest de l'Angleterre, entre 1803 et 1810". pp. 101-118, in J.Gaudant (editeur), De la Geologie a Son Histoire, Paris: CTHS Presse, 1998. 5). "Patronage and Problems: Banks and the Earth Sciences". in R.E.R. Banks et al (editors), Sir Joseph Banks: A Global Perspective, London: Royal Botanic Gardens, Kew pp. 49-75, 1994. 6). "John Farey (1766-1826), An unrecognised polymath" (pages 1-28) and "John Farey, Bibliography" (pages 29-44) in J. Farey, General View of the Agriculture and Minerals of Derbyshire, 1811, Volume 1. Reprinted Peak District Mines Historical Society Ltd. 1989. 7). "Coal Hunting at Bexhill 1805-1811: how the New Science of Stratigraphy was ignored". Sussex Archaeological Collections, 136, 177-191, 1999. 9). "Arthur Aikin's Mineralogical Survey of Shropshire 1796-1816 and the contemporary audience for geological publications". British Journal for the History of Science, 16, 111-153, 1983. 10). "The scientific ancestry and historiography of the Silurian System". Journal of the Geological Society, London, 147, 657-662, 1990. 11). "Joseph Harrison Fryer (1777-1855): geologist and mining engineer in England 1803-1825 and South America 1826-1828" in Lopes M.M. and Figueiroa S.F. (editors), Geological Sciences in Latin America: Scientific Relations and Exchanges, pp. 29-46, Universidade Estadual: Campinas, Brazil, 1995. 12). "William Edmond Logan's Geological Apprenticeship in Britain 1831-1842". Geoscience Canada, volume 26, no. 3, pp. 97-110, September 1999. 13). (with William R. Brice) "James Buckman (1814-1884) English consulting geologist and his visit to the Guyandotte coal-fields in 1854. Southeastern Geology, 38, 191-201, 1999. 291. “Some personal thoughts on Stratigraphic Precision in the 20th Century” paper given to the 31st IGC, Rio, August 2000, in The Earth Inside and Out: Some Major Contributions to Geology in the 20th Century (editor D. R. Oldroyd), Geological Society of London Special Publication 192, 251-272, 2002. 293. (with Judy Winston), “Eliza Catherine Jelly (28th September 1829 - 3rd November 1914): pioneer female bryozoologist. pp. 299-325 in P. N. Wyse Jackson & Mary E. Spencer Jones (eds) Annals of Bryozoology, International Bryozoological Association. Dublin, 2002. 294. From d’Orbigny to the Devonian: Some thoughts on the history of the stratotype concept, C.R. Palevol 1 (2002), pp. 335-345. 295. Caisson Lock located, Waterways World, 32, no.4, 90, 2003. 296. (with M.A. Taylor), The 1690s Coalheugh Well at Cromarty Scotland, INHIGEO newsletter, 35, 25-26, 2003.
published by the Bath Royal Literary and Scientific Institution, Bath, 2003. 298. “Of Geology and Books”, Introduction to Maggs Bros Ltd Foundations of Geology Catalogue (no. 1342), pp. 3-6, 2003. 299. William 'Strata' Smith (1769-1839) and the search for English raw materials: some parallels with Hugh Miller and with Scotland, pp. 137-155 in Borley, L. (ed.) 2003. Celebrating the life and times of Hugh Miller: Scotland in the early 19th century: Ethnography & folklore, geology & natural history, church & society. Cromarty Arts Trust and Elphinstone Institute of the University of Aberdeen. A pdf is available trom the Cromarty Arts Trust www site. 300. (part editor of) J. Thackray, To See The Fellows Fight, British Society for the History of Science Monograph no. 12, 243 pp. Oxford: Parchment, 2003. 301. Natural History in 18th Century Museums in Britain, pp. 81-91 in R.G.A. Anderson et al. (editors). Enlightening the British: Knowledge, discovery and the museum in the 18th century. London: British Museum Press, 2003. 302. A Delius Disciple in New Zealand, Delius Society Journal, 135, 36-38, 2004. 303. The Life and Work of the geologist S.S. Buckman, Proceedings of the Cotteswold Naturalists Field Club, 43, 25-47, 2004. 304. The water-related work of William 'Strata' Smith (1769-1839), in 200 Years of British Hydrogeology (ed. J.D. Mather), Geological Society Special Publication, 225, pp. 15-30, 2004. 305. (with J.D. Mather and K.J. Lucas), Joseph Lucas (1846-1926) - a Victorian polymath and a key figure in the development of British hydrogeology, in 200 Years of British Hydrogeology (ed. J.D. Mather), Geological Society Special Publication, 225, pp. 67-88, 2004. 306. Scarborough's first geologist? The life and work of the remarkable Rev. Frederick Kendall (1790-1836). Proceedings of the Yorkshire Geological Society, 55, 119-129, 2004. 307. (with M.A. Taylor), Further Information on the Life of Charles Moore (1815-1881), Somerset geologist, Somerset Archaeology and Natural History, 147, 181-182, 2004.
in B. Harrison & H.C.G. Matthew (editors), The Oxford Dictionary of National Biography. Oxford: Oxford University Press, 60 volumes, 2004. 309. “William Edmond Logan’s Geological Apprenticeship in Britain 1831-1842”, reprinted from Geoscience Canada, volume 26, no. 3, pp. 97-110, September 1999 in Proud Heritage - People and Progress in Early Canadian Geoscience (R. Macqueen (ed. ), GAC Reprint Series Number 8, pp. 15-28, 2004. 311. The Origins of Stratigraphy 1719-1801, by John Fuller, London, Geologists’ Association, Guide no. 65. 51 pp. This publication (with a misleading title - it contains materials well after its terminal date of 1801) is of at least joint authorship, as by Fuller and I, as the note on p. 51 implies:” This Guide draws much from field-itineraries and excursions organised by the author and Dr Hugh Torrens”. I had been leading such excursions, and writing such Guides, here, since at least 1975 (for the Bristol Industrial Archaeology Society; 1978 (for the British Association for the Advancement of Science) and 1988 (for the Society for the History of Natural History). Our first such joint Guides, under this title, were then produced in 1989 (for the Petroleum Group of the Geological Society of London) and in 1991 (for the American Association of Petroleum Geologists). We led a memorable, again joint, excursion, for the History of Geology Group, over 13-14 July 2002, from which John then produced his GA Guide, but without my knowledge. In this, much of the itineraries for the places na med in Bath were written by me, as were those sections on Batheaston, Tucking Mill and Hill Farm (pp. 25-49). John’s wish to produce this alone may have been inspired by his disagreement with me over which part of Tucking Mill Cottage Smith had actually owned (p. 47). Here John gave the completely wrong reference to my work (2001, paper no.287 here). The correct reference is instead to 2003, no. 297 here, pages xxxv-xxxvii). 312. Erasmus Darwin’s contributions to the Geological Sciences, pp. 259-272 in The Genius of Erasmus Darwin, eds. C.U.M. Smith & Robert Arnott, Ashgate, Aldershot, 2005. 313. The long history of geological studies in Dorset confirms its World Heritage status, Journal of the Open University Geological Society, 25, (2), 1-16, 2005. 314. The Moravian minister Rev. Henry Steinhauer (1782-1818); his work on fossil plants, their first ‘scientific’ description and the planned Mineral Botany, in A.J. Bowden, C.V. Burek & R. Wilding (eds) History of Palaeobotany: Selected Essays, Geological Society Special Publications 241, 9-24, 2005. 315. The following contribution to the Oxford Dictionary of National Biography (ed. Lawrence Goldman), John Middleton (1751-1833), Oxford: Oxford University Press, Second electronic Supplement, May 2005. 316. The life and times of Hastings Elwin or Elwyn (1777-1852) and his critical role in founding the Bath Literary and Scientific Institution in 1823, Geological Curator, 8, no. 4, 143-170, 2005. 317. Lost and found! - the “Lost Work” of William 'Strata' Smith, Geoscientist, 16 (no. 3), pp. 22-23, March 2006. 318. Notes on ‘The Amateur’ in the development of British Geology, Proceedings of the Geologists’ Association, 117 (part 1), pp. 1-8, 2006. 319. Lost and found! - the “Lost Work” of William 'Strata' Smith (1769-1839) - so-called ‘Father of English geology’, with postscript, INHIGEO Newsletter, 38, pp. 80-82, 2006. 320. (con Virgilio Giormani), Il conte Alvise Zenobio (1757-1817): Un patrizio veneto tra agio e avventura, Venezia: Istituto Veneto di Scienze, Lettere ed Arti, Memorie 116, pp. i-xii, 1-267, 2006. 321. The geological work of Gregory Watt, his travels with William Maclure in Italy (1801-1802), and Watt’s “proto-geological” Map of Italy (1804), in Vai G.B. and Caldwell W.G.E. (editors), The Origins of Geology in Italy, Geological Society of America Special Paper 411, pp. 179-197, 2006. 322. (Book Review), Ann Moyal (editor) The Web of Science: the Scientific Correspondence of the Rev. W.B. Clarke, Australia’s Pioneer Geologist, Geoscientist, November 2006, 18-19. 324. (with P. Wigley, P. Dolan, and T. Sharpe), ‘Strata’ Smith: His Two Hundred Year Legacy, Digitally Enhanced Maps and Sections by William 'Strata' Smith, George Bellas Greenough, John Cary and Richard Thomas 1796-1840, DVD published London: Geological Society, 2007. 325. Foreword (p. 5), “William James (1771-1837): A member of a truly visionary English Triumvirate” to Miles Macnair, William James (1771-1837): the man who discovered George Stephenson, Oxford: Railway and Canal Historical Society, 2007. 326. John Farey (1766-1826), New Dictionary of Scientific Biography, ed. Koertge, Noretta (ed), vol. 2, pp. 5-8, Detroit: Charles Scribners’ Sons, 2007. 330. James Buckman (1814-1884): the scientific career of an English Darwinian thwarted by religious prejudice. In K�lbl-Ebert M. (ed. ), Geology and Religion: A History of Harmony and Hostility, Geological Society of London, Special Publication, 310, 245-258, 2009. 331. Dissenting Science: the Quakers among the Founding Fathers. In Lewis C.L.E. and Knell S.J., (editors), 2009, The Making of the Geological Society of London, Geological Society of London, Special Publication, 317, 129-144. 332. (Book Review) Paul Lucier, Scientists and swindlers: consulting on coal and oil in America, 1820-1890 (Baltimore: Johns Hopkins University Press, 2008. Pp. xiii + 426. 35 illus. ISBN 9780801890031 Hbk. �34), Economic History Review, vol. 63, (1), 271-272, 2010. 333. Another Quaker "Lunatick": The Worcester origins of Jonathan Stokes, junior (1754-1831), physician, botanist, geologist and youngest member of the Lunar Society (from 1783), Journal of the Friends Historical Society, 61, 196-220, 2010. 335. New light on John Williams’ last days in Verona, Italy, Montgomeryshire Collections, 98, pp. 151-152, 2010. 336. Jean Jones (1935-2009): Obituary and bibliography, INHIGEO Newsletter 42, 26-27, 2010. 337. John Hannes Callomon, obituary, Times, 29 May 2010, 123, and on Geoscientist online, and in September 2010, pp. 6-7. 338. (with Ian Mills), Professor John Callomon, obituary, Independent, 15 June 2010, Viewspaper, page 9. 339. William Perceval Hunter (1812-1878), forgotten English student of dinosaurs-to-be and of Wealden rocks, in Moody R. et al (eds), Dinosaurs and Other Extinct Saurians: A Historical Perspective, Geological Society of London, Special Publications, 343, 31-47, 2010. 2) Newsletters from the Astrology Center of America, 10, 17 & 24 August 2010. 343. John Randall (1810-1910) as writer and geologist, Proceedings of the Shropshire Geological Society, 15, pp. 28-43. Available from the Shropshire Geological Society's site (and a slightly shorter version in Transactions of the Wrekin Local Studies Forum, for 2010, pp. 17-34, 2011). 345. Uncurated Curators, no. 3. Ronald Frederick Pickford (1920-12010), Bath curator, a Tribute, Geological Curator, 9, no. 4, 243-254, 2011. 346. Hawking History - a vital future for Geology's past (revised version of no. 122 from Modern Geology, 13, 83-93, 1988), in The Compass, 81, 26-37, 2011. 347. (with Trevor D. Ford), Elias Hall, pioneer mineral surveyor and geologist in the Midlands and Lancashire, Mercian Geologist, 17 (4), 249-261, 2011. 349. (with Trevor D. Ford), An early 19th century geological map of the Peak District by John Farey, Mercian Geologist, 18 (1), pp. 69-73, 2012. 350. A Cautionary Tale [“lost” Darwin letters], Newsletter of the Society for the History of Natural History, 104, November 2012, pp. 17-18. 351. A forgotten provincial English museums initiative of the 1830s: The Midland counties Natural History Societies, their museums and libraries, pp. 159-181, in Excalibur: Essays on Antiquity and the History of Collecting in Honour of Arthur MacGregor (editors Hildegard Wiegel & Michael Vickers), Oxford, BAR International Series no. 2512, Archaeopress, 2013.
b) INHIGEO Newsletter, 45, pp. 36-40, 2013. 353. “Not so shady” [on the antiquaries dealer George Fabian Lawrence (1861-1930], Times, 6 September 2013, p. 35. 354. (with C. Toland and K. Ryder), The Life and Works of James Alexander Knipe (?1803-1882), British Itinerant Geological Map-Maker, Earth Sciences History, 32, 279-312, 2013. 356. (with Peter Wigley), Stratigraphy Vindicated by Cook's Farm Coal Bust [An early application of William 'Strata' Smith’s Stratigraphic System in exploring for coal]. AAPG Explorer, April 2014, pages 68-71. Article is available from the American Association of Petroleum Geologists www site. 357. 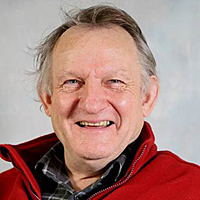 Obituary: Michael Denis Crane (1946-2013), Archives of Natural History, 41, 154-158, 2014. 359. Two Lost Bath Royal Literary and Scientific Institution [BRLSI] fossil specimens returned after 80 years, Society for the History of Natural History Newsletter, 106, 20-21, 2014. 363. (with M.A. Taylor), An anonymous account of Mary Anning (1799-1847), fossil collector of Lyme Regis, England, published in Chambers's Journal in 1857, and its attribution to Frank Buckland (1826-1880), George Roberts (c. 1804-1860), and William Buckland (1784-1856), Archives of Natural History, 41 (2), 309-325, 2014. 364. The English Isle of Wight and its crucial role in the ‘invention’ of Dinosaurs, Biological Journal of the Linnean Society, 113, 664-676, 2014. This article is available on-line from Oxford University Press as an abstract (which seems to be the full article!) or as the full article. 365. Some memories of Andr�s Gal�cz and of Hungary, Hantkeniana, 9, 19-20, 2014. 366. Contributions, in Russian, to Tchoumatchenko P. & Dietl O. (editors), Geologists from Russia abroad, fate and contributions to world science.. Published Sofia, Bulgaria, 2014, 477 pages, ISBN 978-954-92421-2-6 and available online. 367. David Roger Oldroyd (1936-2014) 0bituary - Geoscientist online and Geoscientist, 25, no. 3, 28, April 2015. 368. William 'Strata' Smith’s never published County Map of Somerset, from an original topographic map, with engraved geological lines and boxes, owned by me and digitally revamped by Peter Wigley. 369. “1815 and all that” [on 3 pioneers of the Industrial Revolution, including William 'Strata' Smith], Times, 17 June 2015, p. x. 370. ‘Gone for a Burton': Thomas Arthur Burton (1842-1936), musician and composer, and his family (from Leicestershire, Derbyshire, Cotswolds, Hampshire and Dorset), Proceedings of the Dorset Natural History and Archaeological Society, 136, 38-56, 2015. 372. Rockstars: William “Strata” Smith, GSA Geology Today, September 2015, 38-40. 374. (with Ray B. Williams), A history of the fossil fruits and seeds of the London Clay (1840): a historical and bibliographical account of James Scott Bowerbank’s unfinished monograph. Archives of Natural History, 43, no.2, 255-277, 2016. 375. (with Ray B. Williams), No. 3 Highbury Grove: the private geological museum of James Scott Bowerbank (1797-1877). Archives of Natural History, 43, no. 2, 278-284, 2016. 376-378. These next thrree are all from The Enlightenment of Thomas Beddoes: Science, Medicine and Reform by T. Levere, L. Stewart and H.S Torrens, Taylor & Frances, London. Published November 2016 and available in Google books. 379. (with M.A.Taylor) Lost & Found 276. Henry Ball (c. 1783-1856) fossil collector ow Watchet, Somerset and the forced sale of his collection in 1841 to Robert H.W.Bartlett (c.1814-1887) Geological Curator, 10, no. 4, pp. 272-277, 2016. 380. (with M.A.Taylor) Lost & Found 278. A lost ichthyosaur from Lower Lias figured in William Buckland's Treatise or 1836, and possibly owned by the Geological Society of London or Viscount Cole F.G.S., later Earl of Enniskillen (1807-1886)Geological Curator, 10, no. 4, pp. 281-282, 2016. 381. (with M.S. Rosenbaum). "a farmer": an early scientific explanation of continental drift. p.1-4. draft. (2017) The article, with A. Farmer's original book is available from Shropshire Geology. The anonymous review in British Critic (1804) indicated that the book by "a farmer" included a detailed description of Whitcliffe, the common land facing Ludlow and site of quarrying for building stone since medieval times (Torrens, 2008). After many years of searching, a single copy has been located, in Edinburgh. Not only does the original indicates an extant interest in the geology of South Shropshire by the beginning of the 19th Century, some 30 years before Murchison's first visit, but also provides an early scientific explanation of continental drift. 382. (with P. Tchoumatchenco, D. Branagan and M. Wiazemsky), The Geologists of Russian Origin in the British Isles, pages 172-189, in The First International Science-to-Practice Conference: "Russian Heritage in the Contemporary World", Published, by the Russian Heritage in the United Kingdom Committee, London, 2017, ISBN 978-5-9908705-4-3. 383. (with E. A. HOWLETT, W. J. KENNEDY and, H. P. POWELL, New light on the history of Megalosaurus, the great lizard of Stonesfield, Archives of Natural History volume 44, pages 82-102, 2017. 385. Delius and the two Agate brothers, James and Edward, Delius Society Journal, number 162, pp. 31-42, 2017. 386. Lost and Found. no. 277, 19th Century plaster casts of Lower Jurassic ichthyosaurs and plesiosaurs in the Bristol Institution for the Advancement of Science..., and the Academy of Natural Sciences, Philadelphia, Geological Curator, vol. 10, no. 6, pp. 489-492, 2017. 387. Lost and Found. no. 280, Henry Riley M.D. (1797-1848) of Bristol, Geological Curator, vol. 10, no. 6, pp. 493-498, 2017. 388. Obituary: Ronald James Cleevely (1934-2017), *Archives of Natural History*, vol. 45, no. 1, pages 170-178, 2018. 390. Canals: The Making of a Nation Hugh Torrens appeared in the first episode of this TV series (2015) talking about the Somerset Coal Canal. See 27, 39, 40, 49 for papers on the Somerset Coal Canal. © 2016 - 2019 Hugh and Richard Torrens.